Heidegger’s conception of authenticity, is both appealing (in that it accords due significance to mortality) and troubling (in completely prioritising the self over others). The core concept can be retained while introducing an other-regarding elementcourtesy of Simone de Beauvoir’s early work on ethics. Fanon’s commentary on authenticity from Black Skin, White Masks develops the links between Heidegger and Beauvoir. Episode 145: Emmanuel Levinas: Why Be Ethical? On “Ethics as First Philosophy” (1984). More existentialist ethics, with a Jewish twist this time! Seth returns to join Mark and Wes in figuring out how to best leave off all this aggressive “knowing” and other forms of individual self-assertion to grasp the more primordial appearance of the Other in all his or her vulnerability, which Levinas thinks makes us wholly responsible for others right off the bat. End song: “To Valerie” from The MayTricks’ So Chewy (1993). On 9/26, 6:30 Eastern, tune in to watch us discuss Hannah Arendt’s The Human Condition, Parts 1 and 2, about what we need out of public and private realms to be fully human, free individuals and not pawns of society. Eva Brann (from our Heraclitus episode) returns to talk with us about her 2014 book, Un-Willing: An Inquiry into the Rise of Will’s Power and an Attempt to Undo It, which gives an intellectual history of the notion of will and diagnoses a the current pernicious effect of the concept in our philosophy and culture. A sentence-by-sentence interpretation of Heidegger’s “On the Essence of Truth,” (1943) first half, by Mark and Seth, recorded Feb. 3, 2015. 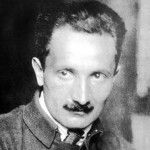 Heidegger describes truth as “unconcealment,” as “letting beings be the beings the are,” and thinks that this is more informative than the traditional correspondence theory (propositions match reality), which he thinks already presupposes the definition of truth. Find out how, and decide for yourself whether Heidegger’s conception is helpful. Mark and Seth go line-by-line through the first half of “On the Essence of Truth” to help you understand Heidegger’s language. This is a 17-min preview of a 2 hr, 37-min bonus recording. Citizens, log in and listen now. On Karl Jaspers’s “On My Philosophy” (1941), featuring comedian/actor/director/author Paul Provenza. What’s the relationship between science and philosophy? What about religion? Jaspers thinks that science gives you facts, but for an overarching world-view, you need philosophy. Living such a world-view requires Existenz, or a leap towards transcendence, which is of course religion’s stock and trade, though Jaspers is not a fan of dogmatism. End song: “Another Way to Fall,” by New People, from The Easy Thing (2009). Download the album. November’s Not School groups are reading from Heidegger, Oakeshott, Houellebecq and Grotowski. Or propose a new one! If we are not mindful, we become disconnected from the real struggles that humanity faces when confronted by technology. October’s Not School groups are reading Roberto Bolano, Soren Kierkegaard, Victor Turner and Martin Heidegger, and we have proposals for a few more. Join up and come check them out! Sign up for Not School this month to join reading groups on the subjects of Greek philosophy, Marxism, ritual, Heidegger, computation, economics, and a novel by Umberto Eco. Everyone (not just Citizens) can watch video of the first discussions of the ongoing Not School Heidegger reading group. Join up! Sign up to read and talk about justice, economics, computation (Turing), the “language hoax,” Umberto Eco, ritual & theater, or Heidegger. Excerpts from discussions on Sartre’s Nausea, Heidegger’s “The Question Concerning Technology,” Slavoj Zizek’s Year of Dreaming Dangerously, Marx and Engels’s “Communist Manifesto,” Peter Schaffer’s play Equus, and Cormac McCarthy’s The Sunset Limited: A Novel in Dramatic Form.